I have active subscriptions to many professional Listservs such as:. 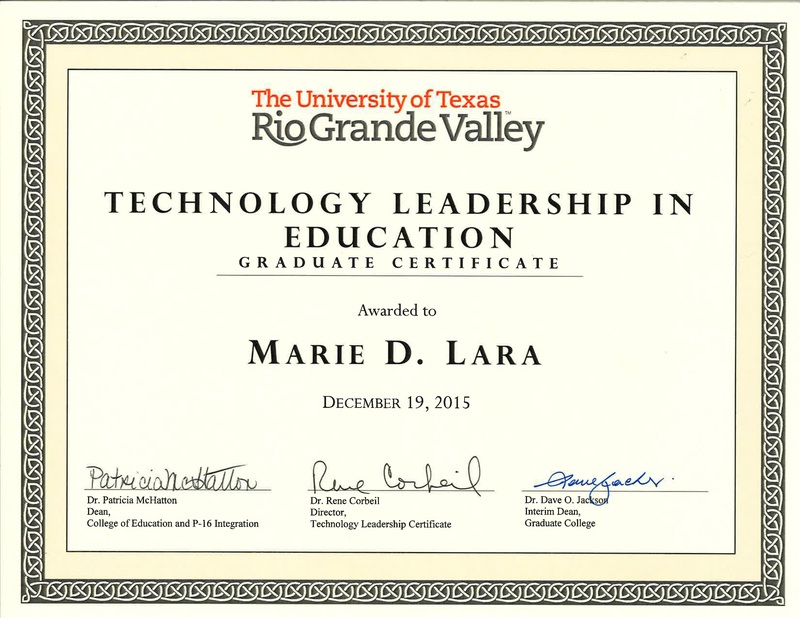 I subscribe to numerous RSS feeds on instructional technology, education and the technology field as a whole. I keep up to date and current on these areas via these news aggregators as well as “following” EdTech @ UTB, EDUCAUSE, IDP (Instructional Design Professional) Groups online and the reports, posts and publications they provide. I also have signed up for courses via FutureLearn, the MOOC from the universities in the UK and follow many subjects through similar sites. I have attended technology training in computers, networking, cellular and PCS and PDA’s, audio visual equipment, store management, accounting and bookkeeping, Microsoft Office, Adobe Photoshop, multimedia systems, WordPerfect and many more. 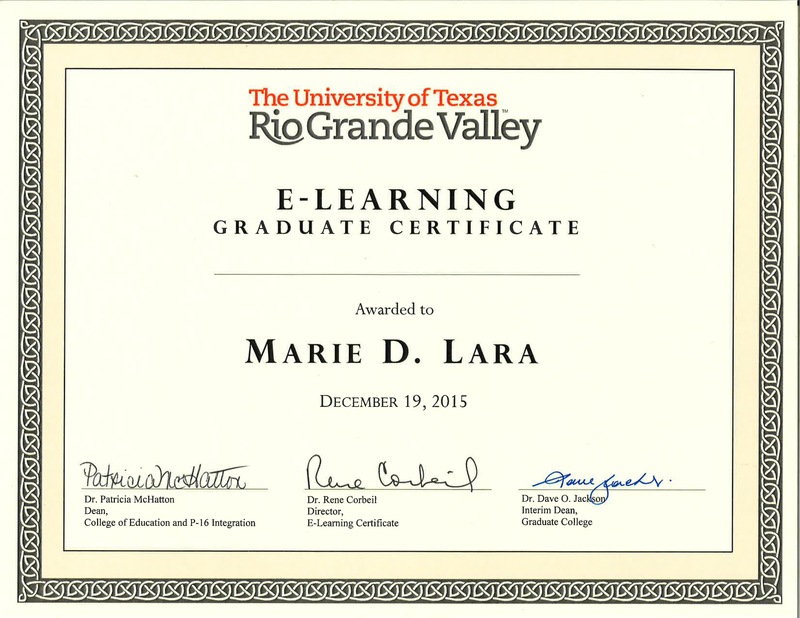 I have received certifications in a number of these technologies and/or technology tools. I also attended numerous workshops such as Write More, Learn More, Josten’s Educational Labs and Wasatch Systems Labs. I have attended numerous computer, technology and educational conferences, such as the NECC and hosted booths and presentations. I also provided many in service trainings for teachers and educational lab administrators. I participated in a number of online training seminars and classes such as “Intro to JS: Drawing & Animation” from the Summer of Scripting by Khan’s Academy, and Saving Schools Mini-Course 4: School Choice at Coursera, to name a few.